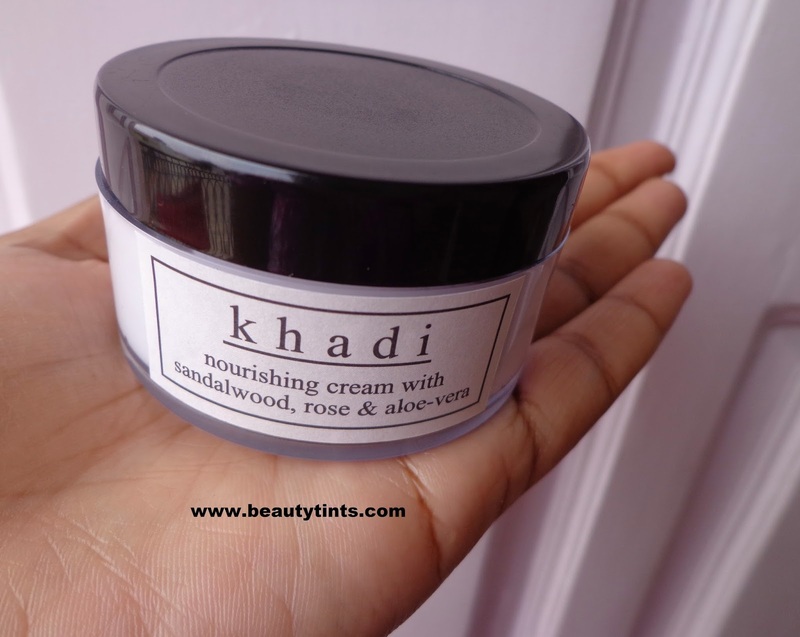 Today I am reviewing Khadi Nourishing Cream with Sandalwood,Rose & Aloe vera ,which is one of the products in the Khadi kit for which I had done a post here.This is basically a face cream which can be used day as well as night.As it is meant for dry skin,this is a rich cream,which is a bit heavy for my combination skin. So, I am using this in the night time instead of my regular night cream. 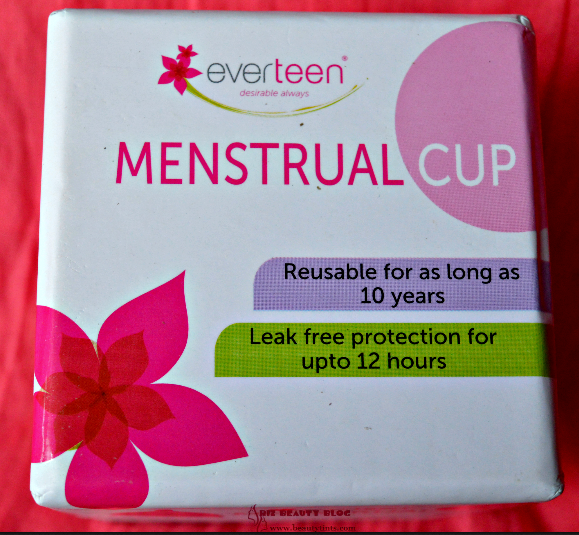 Packaging : It comes in a transparent tub packaging with black colored screw cap.It has a inner lid for extra protection. 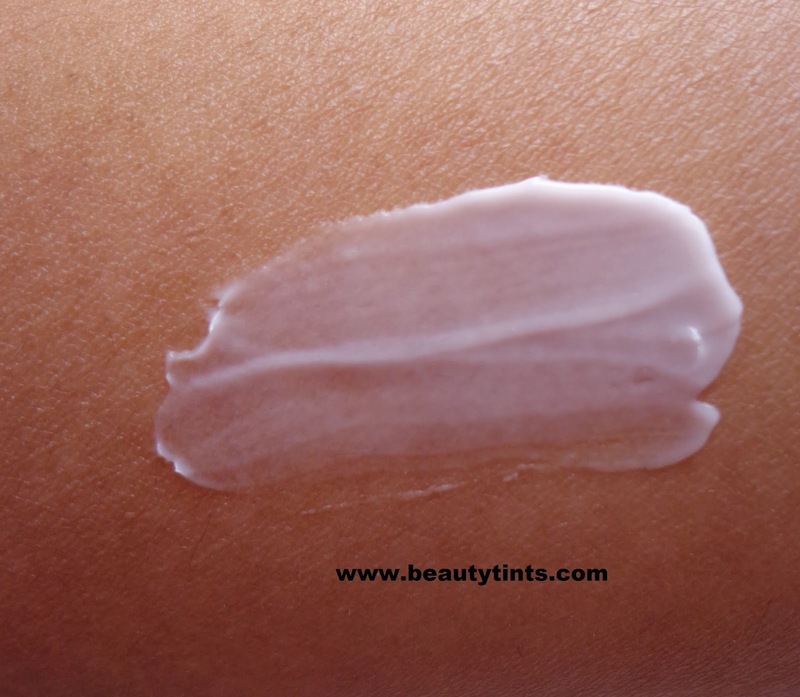 Color and Texture : This is a white colored semi thick smooth cream. What the product Claims : Introduce your skin to a unique all-natural face cream. 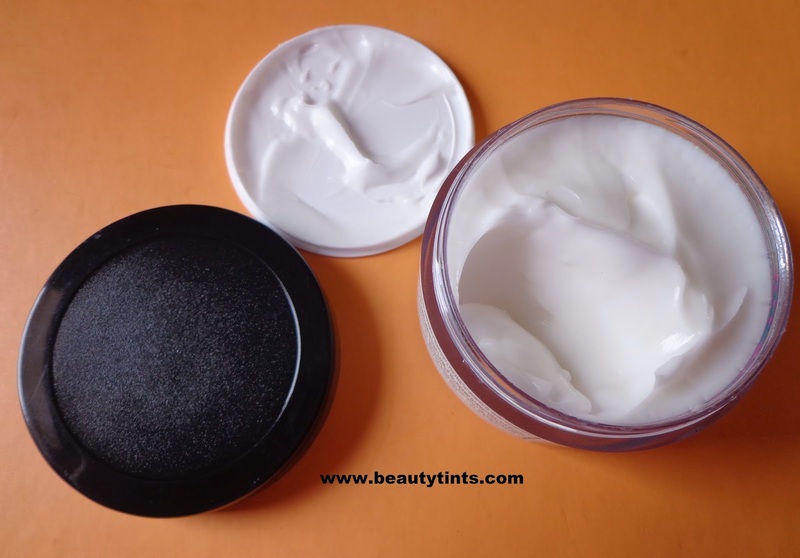 This lush nourishing cream adds much needed moisture to dry skin and helps your overall skin health improve with regular application.Scar fighter sandalwood, with soothing rose, cooling and healing aloe vera for gorgeous skin that breathes, feels supple and healthy, and glows. 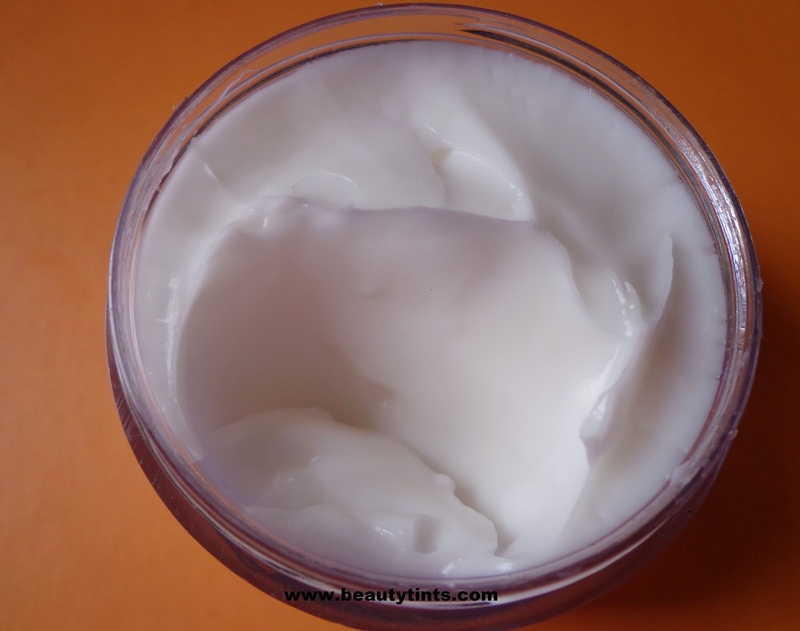 Use generously as an overnight cream before your dose of beauty sleep or during the day. Directions : Apply generously over face and neck at least once a day, ideally as a night cream before bedtime. Prolonged use smoothens dry, chapped skin while providing essential enrichment deep into the skin's layers. 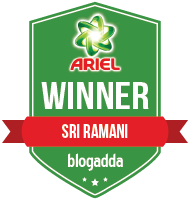 Key Ingredients : Cream base,Almond oil,Apricot oil,Sandal wood oil,jojoba oil,wheat germ oil,brahmi,Ghritkumari,haldi. 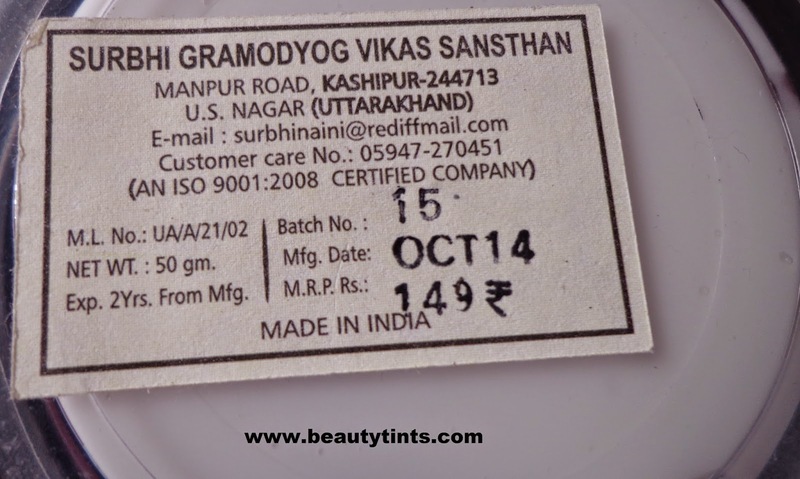 My View On the Product : As this product is meant for dry skin,this is a bit heavy for my combination skin during day time.So,I am using it in the night as a night cream for past 2 weeks.It makes skin soft and supple in the morning and gives a subtle glow to the face.It gives a good boost of hydration to the skin.It reduces the dryness to a great extent and eliminates the flaky skin.It smells similar to Almond oil and though being a thick cream,it gets absorbed completely into the skin.It contains the goodness of Sandal wood,Almond oil,Wheat germ oil,Aloevera.As the name suggests,it is a great nourishing cream for the skin this Winter.It is paraben free and against animal testing.It is much better than many night creams available in the market.It is very affordable and a best choice for people with dry skin,especially during this Winter.The packaging is very sturdy and leak proof which can be carried safely during travelling. 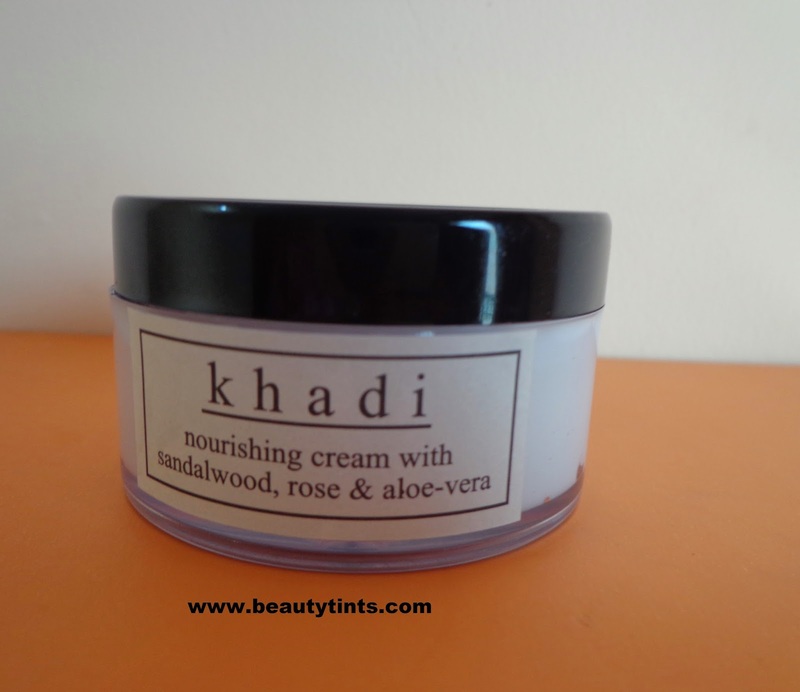 Final Conclusion about Khadi Nourishing Cream with Sandalwood, Rose & Aloe vera :Those who are looking for a good hydrating cream which can be used both in the day as well as night at an affordable price can try this. Suits combination-dry skin well.